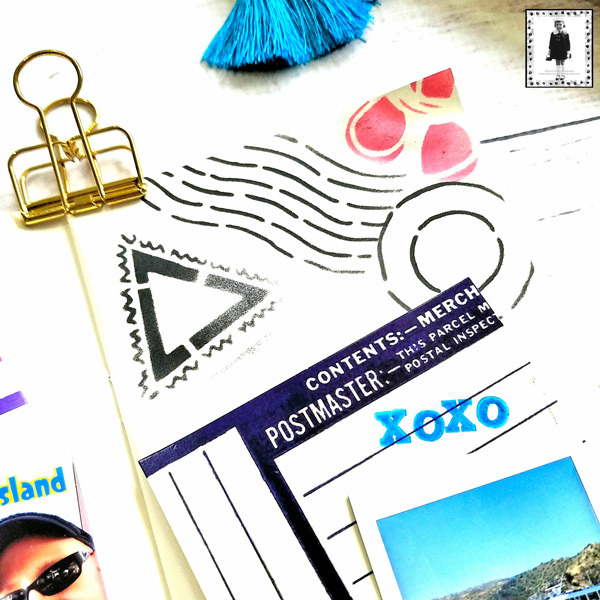 StencilGirl Talk: June TBT: Artist tiles, art journal and planner spread, and a card! June TBT: Artist tiles, art journal and planner spread, and a card! Hi again lovely creatives. 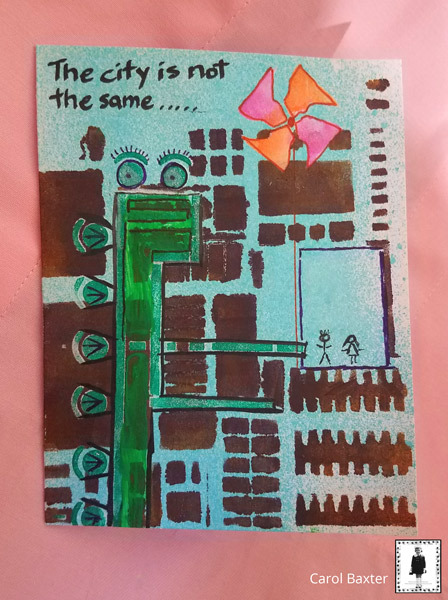 Kiala Givehand chiming in with a multi-layered, mixed media art journaling page. 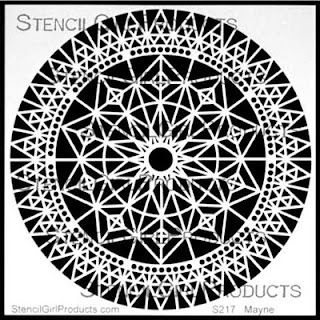 I just adore Lizzie Mayne's Rose Window stencil as a way to mimic the shape of the color wheel, while adding patterns and lines to create a complex mandala just waiting to be colored and explored. I'm currently spending time doing lots of color studies in my art journals. 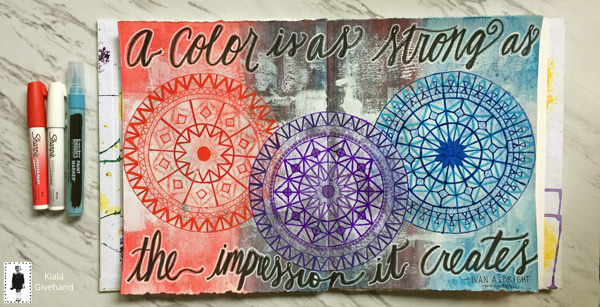 My love for circles and mandalas makes those an easy go to for color study and Lizzie's stencil is the perfect way to explore color in multiple mediums. For this page, I used acrylic paint and gesso for the background, deli paper, paint pens, and gel pens for my circles, Derwent Inktense blocks for the rubbings, and black and white pens to add the lettering. Talk about fun and meditative!!! 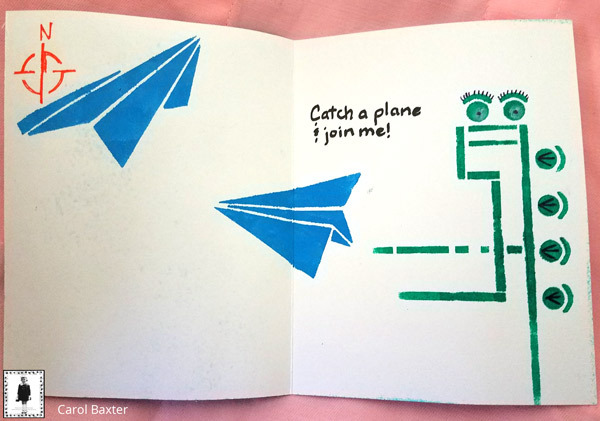 TIP: I placed the stencil UNDER the deli paper and used the Inktense blocks to make a rubbing. So much fun!!! 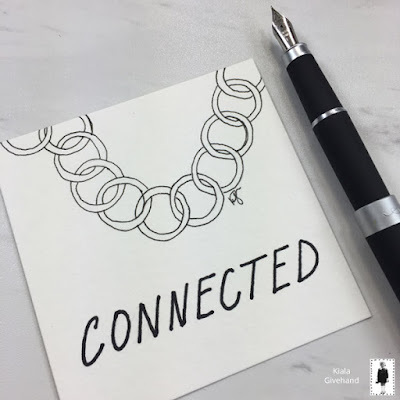 About a month ago I took a class on Skillshare by Sadelle Wiltshire where she teaches how to draw interlocking shapes. It's an amazing class and you can do some cool things with interlocking shapes. But my hands are not the steadiest. Solution? 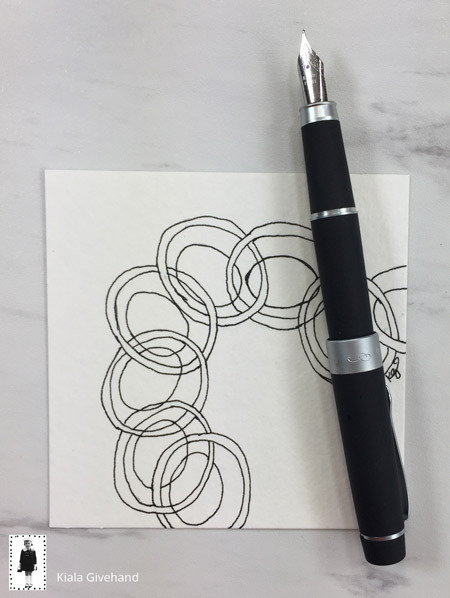 Use a stencil to draw your shapes in pencil first, then interlock them and ink them with pen. 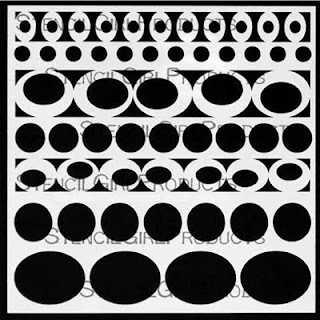 I used Lizzie Mayne's Mod Ovals and Circles small stencil to see if my theory would work. It did!! And I'm in love with the results. No stencil will be safe after this. 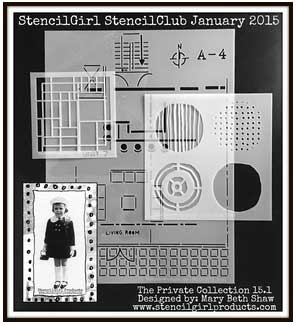 You are invited to check out my blog post, Using Stencils for Interlocking Shapes. Hello stencilers! Belen Sotelo greeting you. Stencils can be used for more than crafting and mixed media. 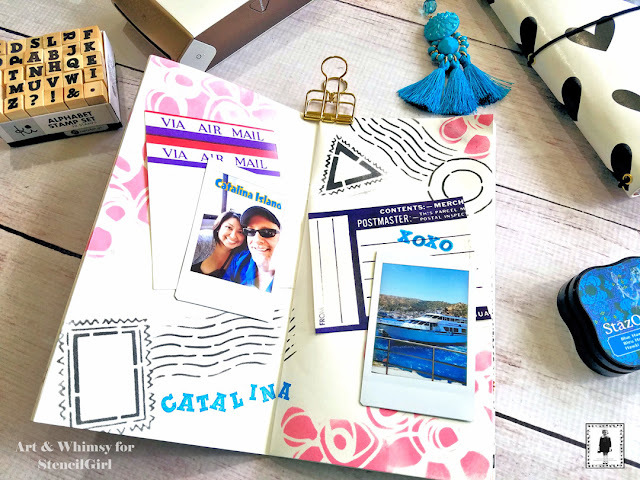 They're a wonderful way to add some visual interest to your planners and traveler's notebooks, too!. A drier medium, like ink pads are a great alternative to paint and wont buckle the thinner paper of your journal, as a wet medium would. I'm using Julie Snidle's Scales and Legend, Borders, and Frames mini stencils in my memory keeping journal to add some texture and movement to my pages. Carol Baxter, "big kid" waving HI!!!! I used Carolyn Dube's Open Buildings, Mary Nasser's Just Plane Fun, and Andrew Borloz' Tribal Pattern B Twirl stencils, plus pens and glimmer mist. That's it for June 2017 Throwback Thursday. What art are you off to make now?